The Guardian Classic - Outdoor Pest Repeller | BUDK.com - Knives & Swords At The Lowest Prices! 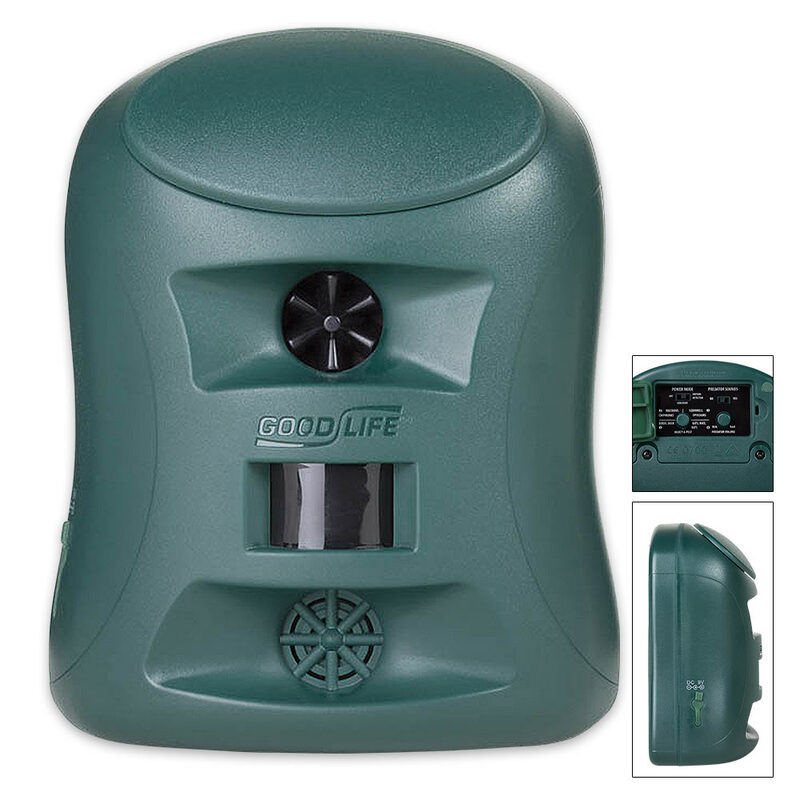 The Guardian Original Outdoor Pest Repeller is designed with the safety of your home and family in mind. It repels pests indoors and outdoors while protecting your home and property with a motion sensor, intruder alarms and strobe light. Whether you use the Guardian Original as a traditional pest repeller or personal safety device, we know you’ll love its multiple power options, convenient remote control, fully adjustable motion sensor, optional strobe light, ultrasonic and alarm sound modes, and much more. Reclaim the outdoors with the safest and most environmentally friendly pest repeller on the market!